Adding Disaster Recovery as a Service complements our Cisco Powered Cloud Hosting services and demonstrates our investment and commitment to providing our customers with solutions that allow them to expand and transform their business. US Signal announced today that it has expanded its portfolio of Cisco Powered™ services with Disaster Recovery as a Service (DRaaS). With this new service, US Signal can provide its customers with a wider range of cloud capabilities to help them increase their business agility. US Signal is already certified as an advanced partner by the Cisco® Cloud and Managed Services Program (CMSP), placing it within one of the top tiers of Cisco CMSP partners. To be able to offer DRaaS as a Cisco Powered service, US Signal needed to complete a rigorous third-party audit of its services. This audit verifies that services are delivered with enterprise-class reliability, security and support. The Advanced designation recognizes US Signal’s investment and commitment to providing cloud and managed services at Cisco’s highest standards. The shared goal is to help businesses and organizations realize faster time to value. Cisco supports US Signal through enablement programs, incentives and go-to-market benefits. US Signal and Cisco will continue to work together to provide ongoing innovation through these services. US Signal’s complete portfolio of Cisco Powered cloud and managed services includes: Infrastructure-as-a-Service and DRaaS. 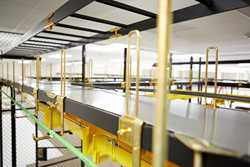 With over 14,000 miles of lit fiber and metro rings in 23 strategic tier-one, tier-two and tier-three markets, US Signal’s infrastructure is one of the largest fully deployed networks in the Midwest. The network’s optical backbone features Cisco Systems’ latest carrier class architecture and supports all of US Signal’s products. US Signal’s product portfolio includes a full suite of colocation, disaster recovery, security and cloud hosting services to complement its network offerings. Delivery of these services over their protected network ensures US Signal customer’s unparalleled flexibility, resiliency and scalability to meet their business needs. About the Cisco Cloud and Managed Services Program (CMSP): CMSP helps partners to envision, build, market, and sell their cloud and managed services. The program offers partners access to an elite level of expertise, business acceleration tools and services, sales training, and the Cisco Cloud Marketplace. Financial benefits include global discounts and incentives to help maximize profitability, build customer loyalty and differentiate a partner’s cloud offerings. Three program levels give partners a flexible framework for business growth and the acquisition of new revenue streams. About Cisco Powered: Cisco Powered is the industry standard for cloud and managed services. Based on validated architectures and end-to-end security, Cisco Powered services minimize technology lifecycle complexity to reduce cost and risk. To ensure enterprise-class service, security and 24/7 support, Cisco partners offering Cisco Powered services must undergo a rigorous certification and third-party audit of their solutions. As the power behind the cloud, Cisco Powered services enable organizations to connect with confidence while achieving faster time-to-value, experiencing assured performance, and utilizing ongoing innovation built on open standards.